Two things happened the end of last year that laid the course for a photo project of mine this year. First was reading Andrew Gibson’s Square: The Digital Photographer’s Guide to the Square Format. While I have on occasion cropped an image to a square format, I had never really thought about composing a square shot or contemplated the types of images that would work best in a square format. Second, I came across Geir Jordahl’s circular photos of China, shot with a vintage 180-degree fisheye lens, manufactured in the 1970s. I found these photos stunning and they got me thinking about what could be shot in this format, which also happened to relate to some of my thoughts on shooting within a square frame. 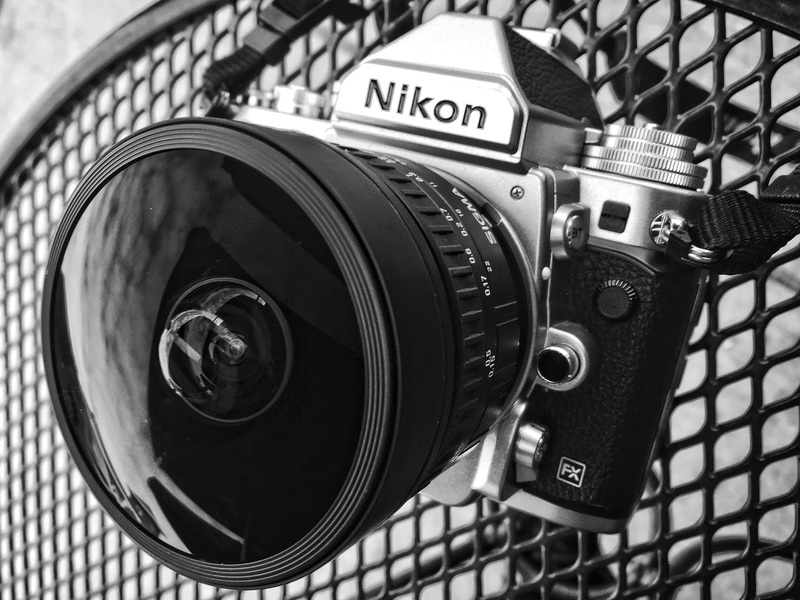 As a lover of wide angle photography, the thought of going to the extreme of a circular fisheye lens intrigued me. While there are several less expensive makes out there, I decided to give the Sigma 8mm f/3.5 lens a try as I have been a fan of Sigma for quite some time. I attached it to my Nikon Df and started exploring. The first challenge I encountered was the sun. I live in Southern California where it is sunny most days of the year. With this lens, if the sun is visible, either your shadow will be in the shot or the sun will be and how it will flare is unknown until after the shot is taken. Even on cloudy days I need to be careful to not include my feet within this lens’ 180-degree angle of view. With a focal length of only 8mm, I also need to be very close to get the shot. So close, in fact, that what may have caught my eye is no longer visible. It has been a learning curve to be sure and I am still learning what works and what does not. Existing circular elements are definite pluses, as are straight lines that can be bent within the frame. Now that I’ve been playing with this lens for around six months, I feel I am ready to start showing the results. 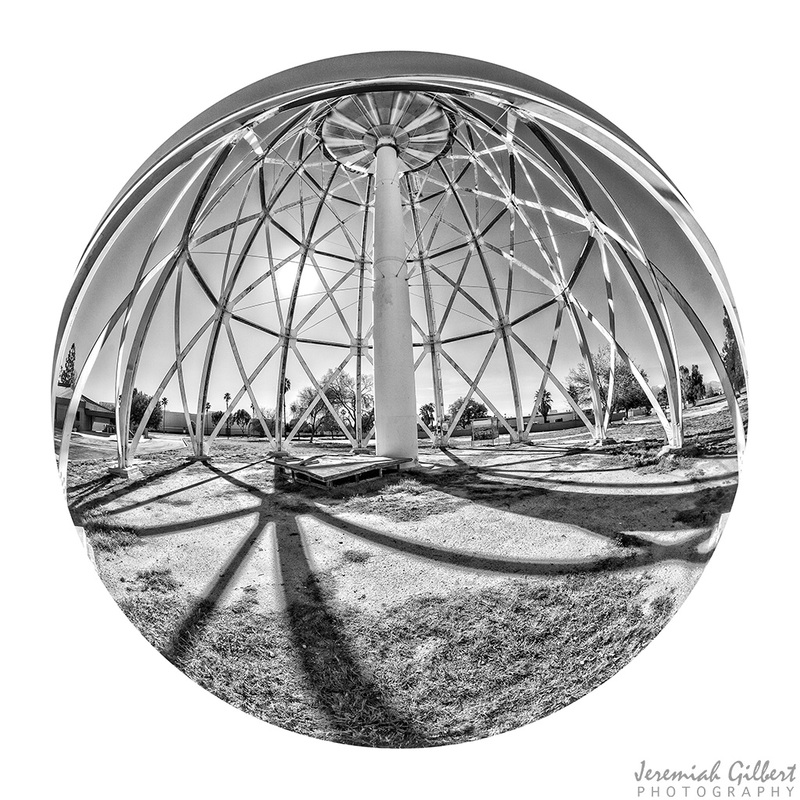 Look for some Circular Fisheye Project posts in the coming weeks.